FC Barcelona are through to their first final of the season. Having eliminated Múrcia, Celta, Espanyol and Valencia already, only Sevilla stand between them and a fourth consecutive Copa del Rey. 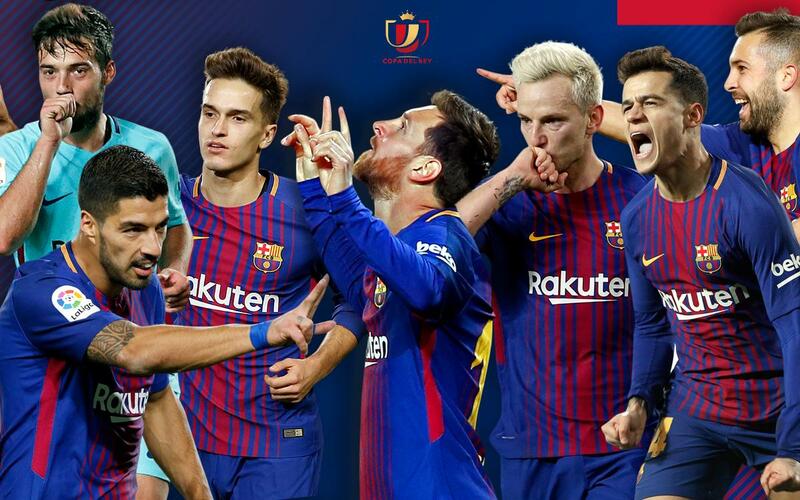 Along the way, they have scored a total of 19 goals, with scoring duties shared between Messi, Suárez and Jose Arnaiz (with 3 apiece), Paco Alcácer and Rakitic (2 each), Piqué, Jordi Alba, Aleix Vidal, Coutinho, Denis Suárez and Deulofeu (with 1 each).